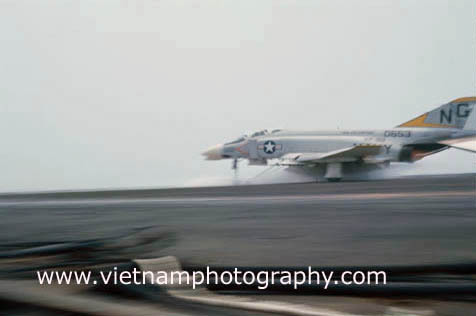 An F-4 Phantom jet being launched from the aircraft carrier USS Enterprise in the South China sea in 1966. 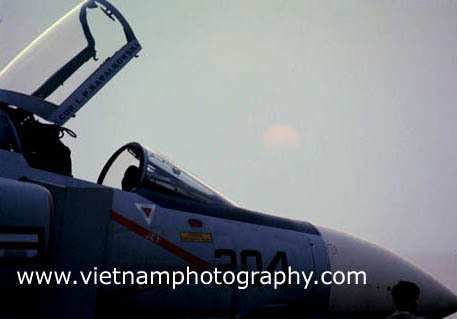 The jet was part of squadron VF-92, the Silver Kings. 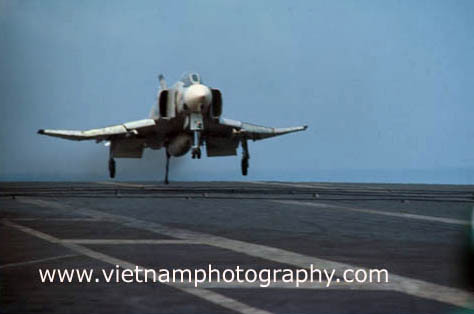 An F-4 Phantom jet landing on the aircraft carrier USS Enterprise in the South China sea in 1966. 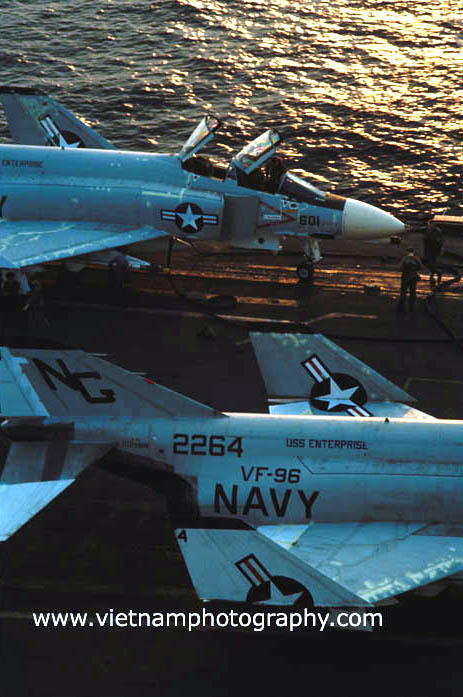 F-4 Phantom jets sit on the flight deck of the aircraft carrier USS Enterprise. 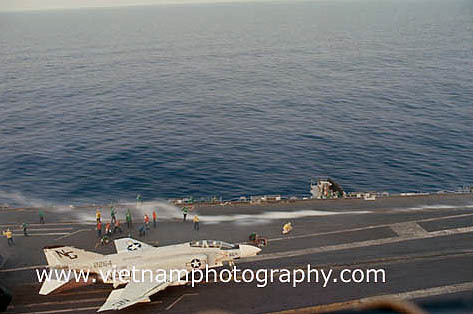 An F-4 Phantom jet being launched from the aircraft carrier USS Enterprise in the South China sea in 1966. 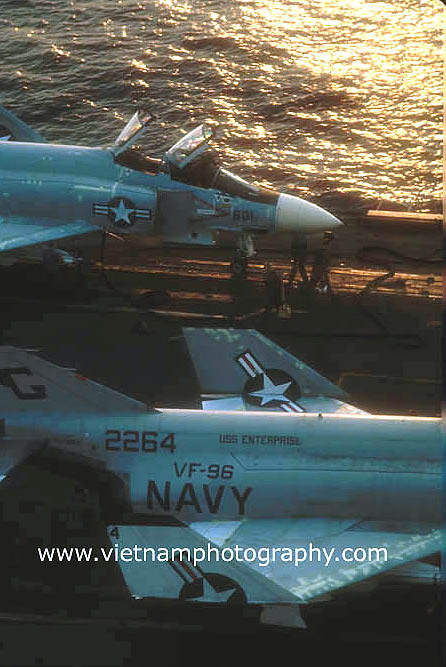 F-4 Phantoms jets lined up on flight deck of the aircraft carrier USS Enterprise in the South China Sea at sunset in 1966. 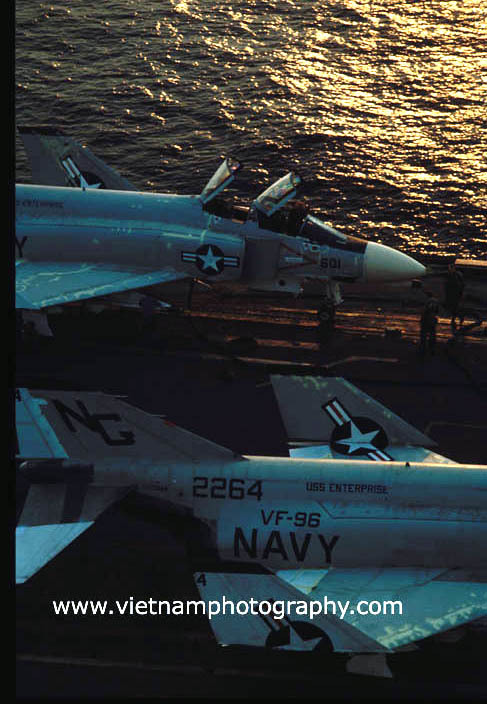 The jets were part of squadron VF-96, the Fighting Falcons. 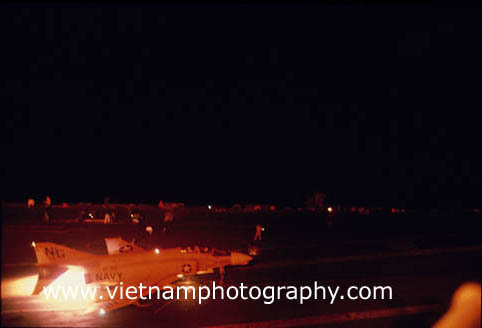 F-4 Phantoms preparing to launch from the aircraft carrer USS Enterprise in the South China Sea in 1966. 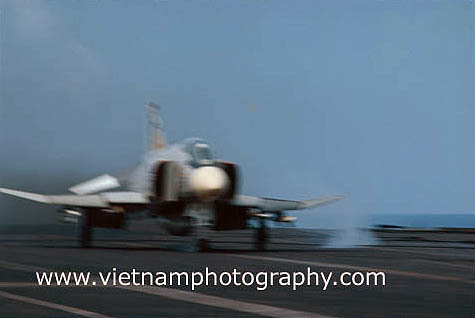 An F-4 Phantom jet preparing to launch from the aircraft carrer USS Enterprise in the South China Sea in 1966. 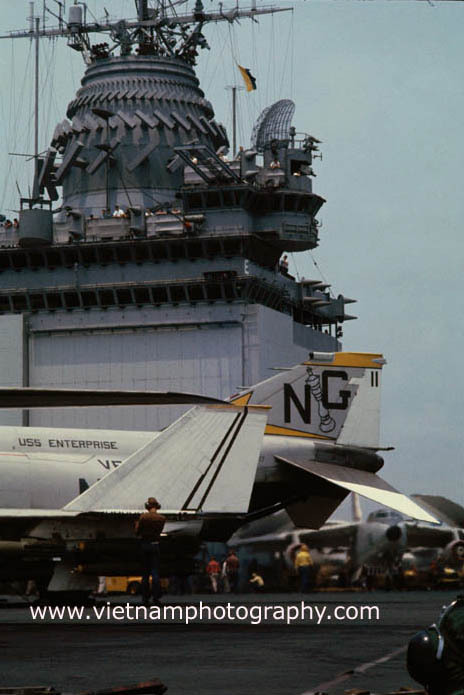 One has just been launched. 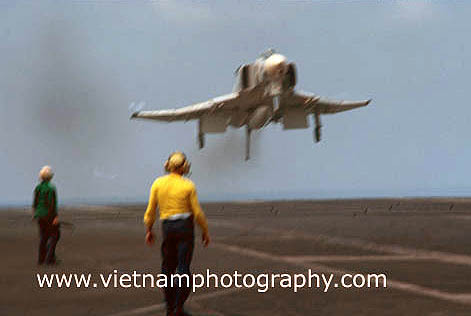 A pilot does a preflight inspection of an F-4 Phantom jet on the aircraft carrier USS Enterprise in the South China Sea in 1966. 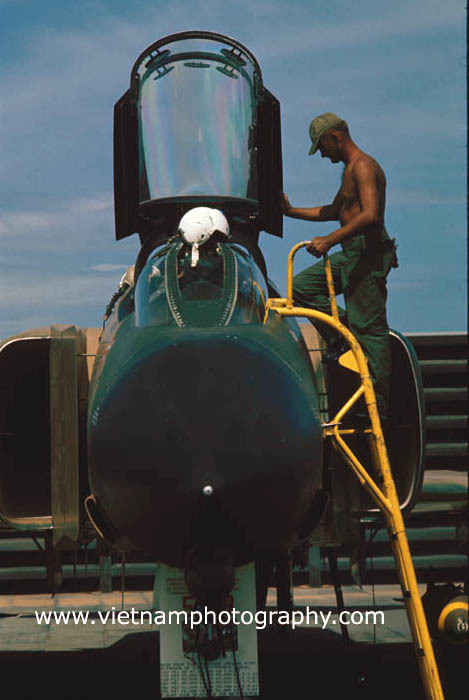 A crew member does a preflight inspection of an Air Force F-4 Phantom jet at Cam Rahn Bay in 1966. 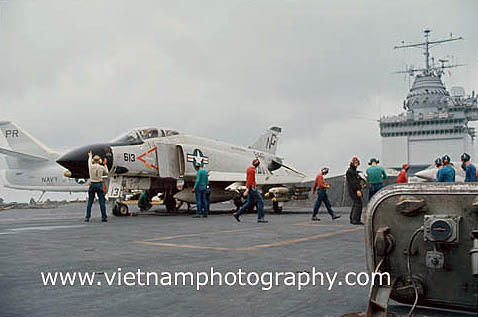 An F-4 Phantom on the flight deck of the aircraft carrier USS Enterprise in the South China Sea in 1966. 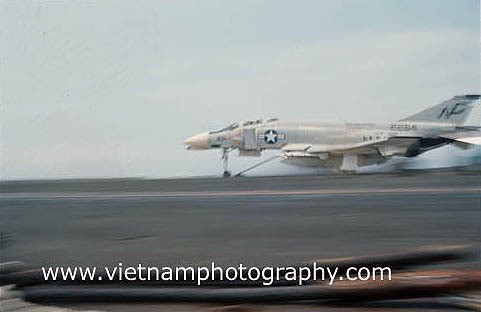 An F-4 Phantom jet on the flight deck of the aircraft carrier USS Enterprise in the South China sea in 1966. 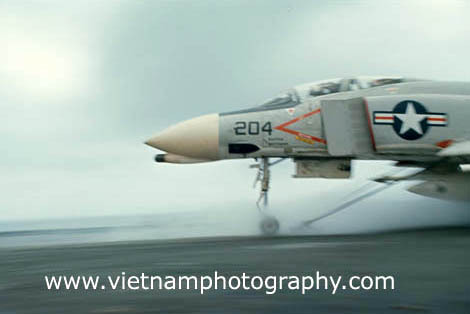 The jet was part of squadron VF-92, the Silver Kings. 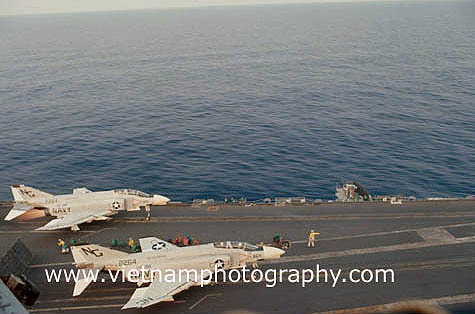 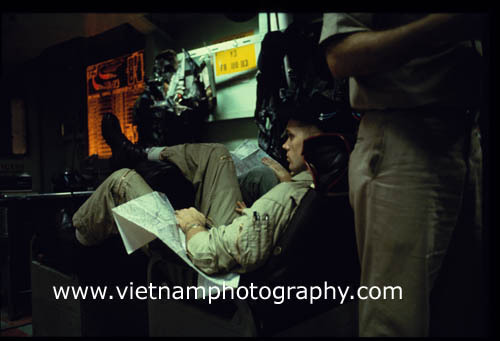 A flight crew briefing on the aircraft carrier USS Enterprise in the South China Sea in 1966. 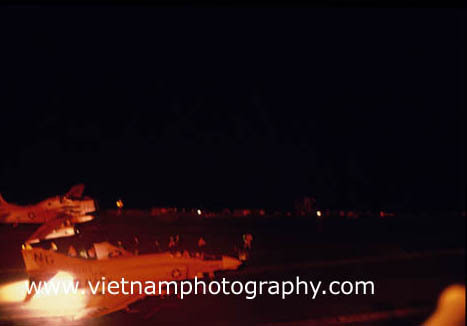 An F-4 Phantom jet being launched at night from the aircraft carrier USS Enterprise in the South China sea in 1966. 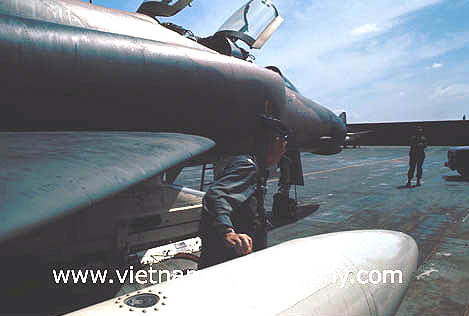 Preparing to be launched is the prop-driven A-1 Skraider. 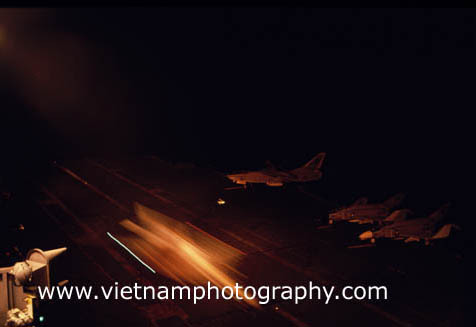 An F-4 Phantom jet being launched at night from the aircraft carrier USS Enterprise in the South China sea in 1966.